Blood tests are important to detect type 2 diabetes. A regular diabetes screening is recommended for people who are at an increased risk of diabetes such as older people, overweight or obese, and those with other risk factors. Diagnosing type 2 diabetes can be done by testing the blood sugar level for the past two to three months, after an overnight or eight-hour fasting. 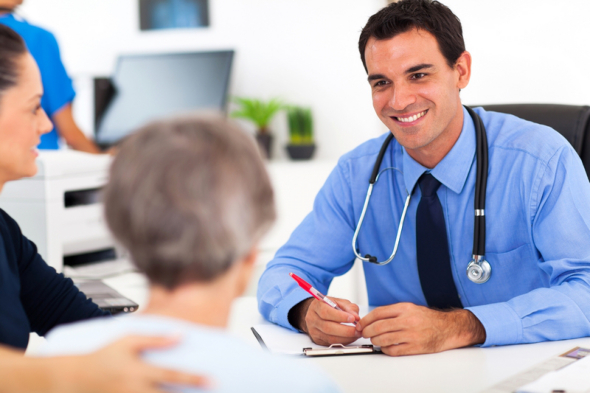 Our health services pharmacy in New Jersey can perform blood tests to detect diabetes. Anyone can lower their risk of type 2 diabetes by maintaining their ideal weight. Making healthier food choices and exercising regularly can help in achieving weight loss. Healthy eating begins with nutritious foods that have carbohydrates, protein, vitamins, minerals and fat. It is important to consume processed foods, salty, and sweet foods in moderation. Fiber is essential in making people feel fuller and more satisfied after eating their meals. It slows carbohydrate digestion into the bloodstream, thus, helps in controlling blood sugar. Also, fiber helps in lowering cholesterol levels and ensuring regular bowel movements. Great sources of fiber include fruits, vegetables, legumes and whole grains. Those who are stressed out may lead an unhealthy lifestyle, which means eating unbalanced foods and ignoring exercises. Taking time to relax and giving one’s self a break from their busy lives can significantly reduce their stress levels. Meditation and deep breathing are relaxation techniques that have been proven to work in lowering stress levels in the body. A lack of quality sleep can increase a person’s risk of obesity and diabetes. Some studies show that getting poor sleep can increase the temptation to consume sugary beverages to stay alert and avoid daytime sleepiness. However, getting a good sleep every night can help in regulating bodily processes like weight control and appetite as well as decreasing such sweet cravings. Type 2 diabetes tends to have less dramatic symptoms compared to type 1 diabetes. This makes it important to see the doctor to get checked. Palace Drugs and Liquors, a reputable community pharmacy in Jersey City, New Jersey, cares about your health. We want to help reduce your risk of diabetes and to help you keep a healthy life. Whether you have diabetes already or want to avoid having it, we would love to hear from you. Let us know how we can help. This entry was posted in Type 2 Diabetes and tagged avoid diabetes, healthcare, healthy life, Reduce Risk. Bookmark the permalink.